The world’s first 1G and 10G virtual chassis platform with 10G stacking designed for mid-enterprise edge and SMB core deployments. 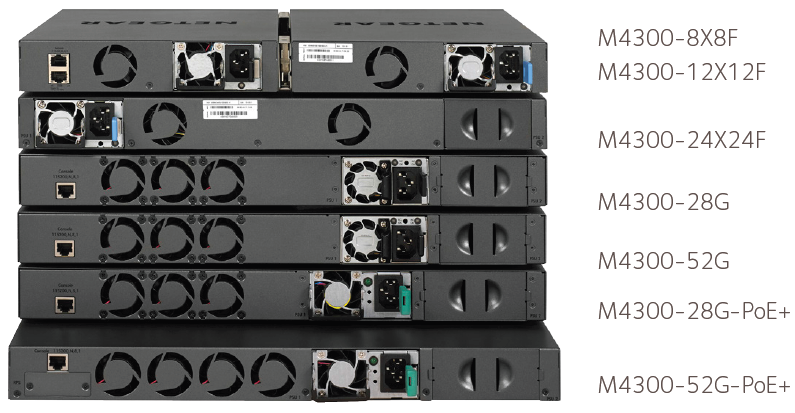 The M4300 series scales from 24x1G to 48x10G to deliver resilient, spine and leaf, edge to core connectivity for unified wired and wireless networks. ProSAFE M4300 Stackable L3 Managed Switch Series comes with 10G and 1G models in a variety of form factors and PoE+ full provisioning. SDN-ready with OpenFlow 1.3, M4300 Switch Series delivers IPv4/IPv6 rich services for mid-enterprise edge and SMB core with mixed stacking between 10 Gigabit and 1 Gigabit models. Layer 3 feature set includes static and policy-based routing, RIP, VRRP, OSPF, and Multicast PIM dynamic routing. M4300 is ideal for server aggregation with Auto-iSCSI prioritization, wireless access, unified communications and IP video. 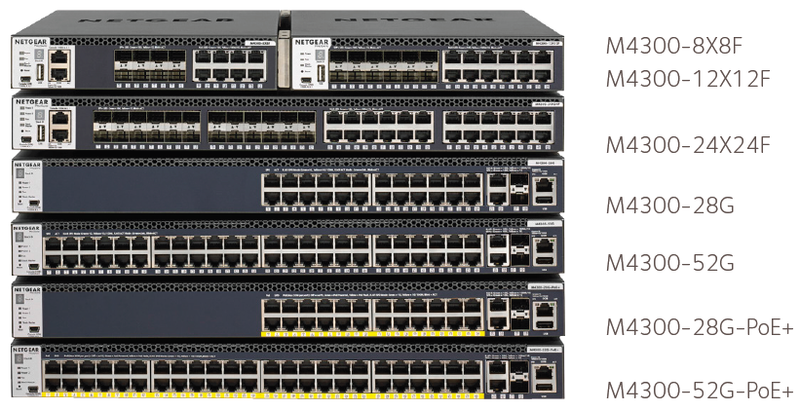 NETGEAR Intelligent Edge Switch solutions combine the latest advances in hardware and software engineering for higher flexibility, lower complexity and stronger investment protection, at a high-value price point. 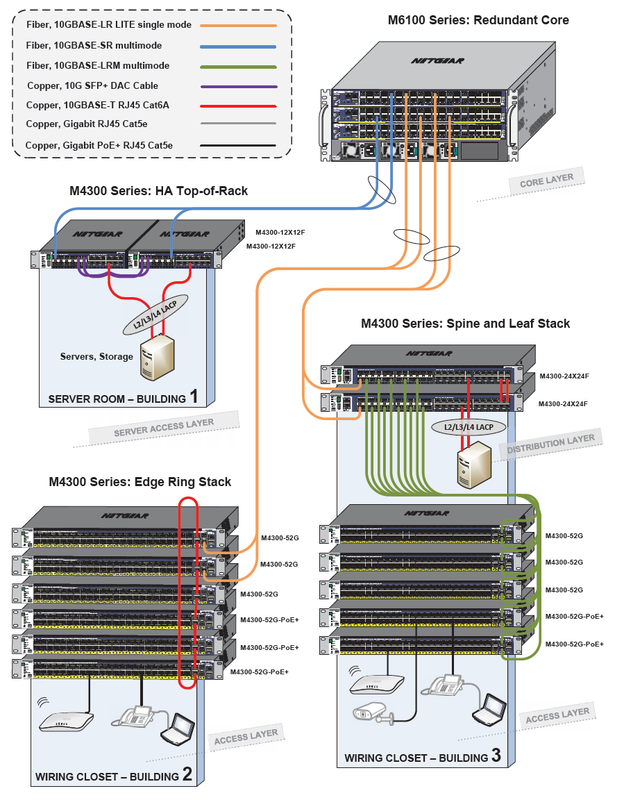 Download the NETGEAR M4300 Series Datasheet (PDF).